Congenital amusia (or tone deafness) is a lifelong disorder characterized by impairments in the perception and production of music. A previous voxel-based morphometry (VBM) study revealed that amusic individuals had reduced white matter in the right inferior frontal gyrus (IFG) relative to musically intact controls. However, this VBM study also revealed associated increases in gray matter in the same right IFG region of amusics. The objective of the present study was to better understand this morphological brain anomaly by way of cortical thickness measures that provide a more specific measure of cortical morphology relative to VBM. We found that amusic subjects (n = 21) have thicker cortex in the right IFG and the right auditory cortex relative to musically intact controls (n = 26). These cortical thickness differences suggest the presence of cortical malformations in the amusic brain, such as abnormal neuronal migration, that may have compromised the normal development of a right frontotemporal pathway. Figure - Group cortical thickness differences. Results from the statistical analysis of data from 21 amusics versus 26 controls are displayed at each vertex of the surface of a standardized brain in terms of a t statistical color map. 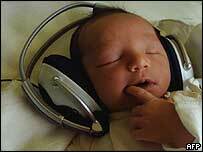 A, Areas of significant thickness increases in the amusic brain relative to controls. B, areas of significant thickness decreases in the amusic brain relative to controls. Predicted group cortical thickness differences are in pink, and nonpredicted differences in green as follows: right superior precentral gyrus (a), right lateral occipital gyrus (b), right inferior precentral gyrus (c), right middle frontal gyrus (d), left inferior temporal gyrus (e), right anterior cingulate (f), right medial orbital frontal gyrus (g), right inferior temporal gyrus (h), left medial orbital frontal gyrus (i). Genetic variation in the enhancement of intelligence by breastfeeding. The predominant long-chain polyunsaturated fatty acids (LC-PUFAs) present in human milk, but not in cow's milk or most infant formulas, are docosahexaenoic acid (DHA; 22:6n-3) and arachidonic acid (AA or ARA; 20:4n-6). Substantial amounts of DHA and AA accumulate in the human brain during the first postnatal months, and infants who are breastfed have higher concentrations of DHA and AA than infants fed unsupplemented formulas. Evidence, in general, is consistent with the hypothesis that LC-PUFAs in breast milk may enhance cognitive development. In humans, children who are breastfed have higher IQs than children not fed breast milk, and this advantage persists into adulthood. The authors chose to study people with two allelic variants of FADS2, which they termed C and G. FADS2 is an attractive candidate gene because of its role in the modification of dietary fatty acids. FADS2, located on chromosome 11q12.2, encodes the delta-6 desaturase that is the rate-limiting step on the metabolic pathway leading to AA and DHA production. Examination of different cohorts of several thousand children from ongoing longitudinal studies in New Zealand, England and Wales revealed that breastfed children carrying the C allele showed a 6.4-IQ-point advantage relative to children not fed breast milk. GG homozygotes neither gained an advantage from breastfeeding nor suffered a disadvantage from not being fed breast milk. The authors ruled out alternative explanations of the finding involving gene–exposure correlation, intrauterine growth, social class, and maternal cognitive ability, as well as maternal genotype effects on breastfeeding and breast milk. ...the finding has implications for the public understanding of genetics. The pendulum of opinion surrounding nature versus nurture has swung back and forth, yielding global estimates of heritability versus "environmentality" that have overlooked the contribution of interactions between specific genes and specific experiences. To date, research on gene–environment interactions has been dominated by the search for genetic variants that increase disease susceptibility to environmental pathogens; for example, carriers of "short" 5-HTT alleles who encounter stressful life events are at risk of becoming depressed; carriers of "rapid" NAT2 alleles who eat red meat are at risk of developing colorectal cancer. However, genes are not only implicated in disease; here we have shown that a genetic variant (in FADS2) may also enhance a favorable response (increased IQ) to a salubrious exposure present throughout human ancestry (breastfeeding). Pay me for my content! INTERNET idealists like me have long had an easy answer for creative types — like the striking screenwriters in Hollywood — who feel threatened by the unremunerative nature of our new Eden: stop whining and figure out how to join the party!..That’s the line I spouted when I was part of the birthing celebrations for the Web. I even wrote a manifesto titled “Piracy Is Your Friend.” But I was wrong. We were all wrong. There’s an almost religious belief in the Valley that charging for content is bad. The only business plan in sight is ever more advertising. One might ask what will be left to advertise once everyone is aggregated...How long must creative people wait for the Web’s new wealth to find a path to their doors? A decade is a long enough time that idealism and hope are no longer enough. If there’s one practice technologists ought to embrace, it is the evaluation of empirical results...To help writers and artists earn a living online, software engineers and Internet evangelists need to exercise the power they hold as designers. Information is free on the Internet because we created the system to be that way. Affordable turns out to be much harder than free when it comes to information technology, but we are smart enough to figure it out. We owe it to ourselves and to our creative friends to acknowledge the negative results of our old idealism. We need to grow up. 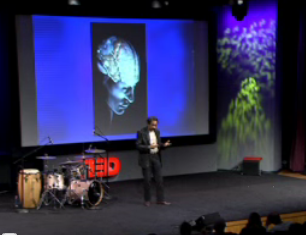 How our brains process inequity in rewards. Whether social comparison affects individual well-being is of central importance for understanding behavior in any social environment. Traditional economic theories focus on the role of absolute rewards, whereas behavioral evidence suggests that social comparisons influence well-being and decisions. We investigated the impact of social comparisons on reward-related brain activity using functional magnetic resonance imaging (fMRI). While being scanned in two adjacent MRI scanners, pairs of subjects had to simultaneously perform a simple estimation task that entailed monetary rewards for correct answers. We show that a variation in the comparison subject's payment affects blood oxygenation level–dependent responses in the ventral striatum. Our results provide neurophysiological evidence for the importance of social comparison on reward processing in the human brain. 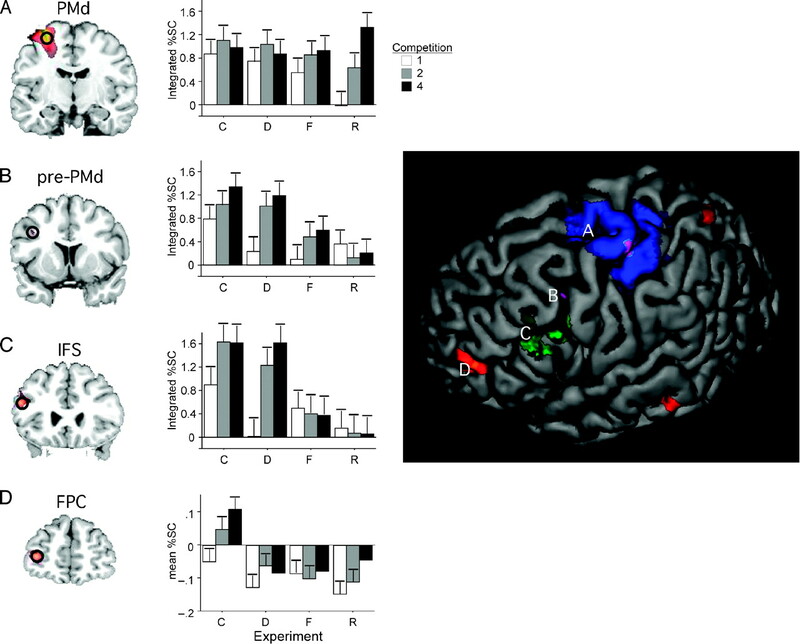 Figure - Glassbrain projection of brain regions showing stronger BOLD responses in conditions in which a subject received a reward while the other did not compared with conditions in which a subject did not receive a reward at all. Without joint benefits, joint actions could never have evolved. Cooperative animals need to monitor closely how large a share they receive relative to their investment toward collective goals. This work documents the sensitivity to reward division in brown, or tufted, capuchin monkeys (Cebus apella). In addition to confirming previous results with a larger subject pool, this work rules out several alternative explanations and adds data on effort sensitivity. Thirteen adult monkeys exchanged tokens for rewards, showing negative reactions to receiving a less-favored reward than their partner. Because their negative reaction could not be attributed to the mere visibility of better rewards (greed hypothesis) nor to having received such rewards in the immediate past (frustration hypothesis), it must have been caused by seeing their partner obtain the better reward. Effort had a major effect in that by far the lowest level of performance in the entire study occurred in subjects required to expend a large effort while at the same time seeing their partner receive a better reward. It is unclear whether this effort–effect was based on comparisons with the partner, but it added significantly to the intensity of the inequity response. These effects are as expected if the inequity response evolved in the context of cooperative survival strategies. ...recent studies from fields as diverse as psychology and anthropology suggest that the ability to look the other way, while potentially destructive, is also critically important to forming and nourishing close relationships. The psychological tricks that people use to ignore a festering problem in their own households are the same ones that they need to live with everyday human dishonesty and betrayal, their own and others’. And it is these highly evolved abilities, research suggests, that provide the foundation for that most disarming of all human invitations, forgiveness...“The closer you look, the more clearly you see that denial is part of the uneasy bargain we strike to be social creatures,” said Michael McCullough, a psychologist at the University of Miami and the author of the coming book “Beyond Revenge: The Evolution of the Forgiveness Instinct.” “We really do want to be moral people, but the fact is that we cut corners to get individual advantage, and we rely on the room that denial gives us to get by, to wiggle out of speeding tickets, and to forgive others for doing the same.”...The capacity for denial appears to have evolved in part to offset early humans’ hypersensitivity to violations of trust. In small kin groups, identifying liars and two-faced cheats was a matter of survival. A few bad rumors could mean a loss of status or even expulsion from the group, a death sentence. Do you really want to know your own genome? Nicholas Wade offer a brief essay in the Nov. 16 New York Times which notes several companies, such as DeCode Genetics, 23andMe, and Navigenics that are now offering to give you an analysis of your own individual genome for $1000 or less. While knowing that you have a gene that predisposes you to a given disease might reinforce life style choices that make that disease less likely (in the case of potential heart disease, for example, converting from red meat and potatoes to complex carbohydrates) such information could also cause needless alarm, for many factors other than genotype contribute to actual outcomes in each of us. A gradient of representational hierarchy in the prefrontal cortex. The prefrontal cortex (PFC) is central to flexible and organized action. Recent theoretical and empirical results suggest that the rostro-caudal (head to tail) axis of the frontal lobes may reflect a hierarchical organization of control. Here, we test whether the rostro-caudal axis of the PFC is organized hierarchically, based on the level of abstraction at which multiple representations compete to guide selection of action. Four functional magnetic resonance imaging (fMRI) experiments parametrically manipulated the set of task-relevant (a) competing responses, (b) competing features, (c) competing dimensions, and (d) overlapping cue-to-dimension mappings. A systematic posterior to anterior gradient was evident within the PFC depending on the manipulated level of representation. Furthermore, across four fMRI experiments, activation in PFC subregions was consistent with the sub- and superordinate relationships that define an abstract representational hierarchy. In addition to providing further support for a representational hierarchy account of the rostro-caudal gradient in the PFC, these data provide important empirical constraints on current theorizing about control hierarchies and the PFC. Figure (click to enlarge) - Whole-brain analysis of parametric effect across the four experiments. A rostro-caudal gradient was evident as the level of abstraction increased. Specifically, response competition activated the PMd (A), feature competition activated the pre-PMd (B), dimension competition activated the IFS (C), and context competition activated the FPC (D). Graphs from ROI analyses for the PMd, pre-PMd, and IFS depict the integrated peak signal, whereas analysis of the frontal pole depicts the mean percent signal change over the entire block. Graphs from ROI analyses for PMd, pre-PMd, and IFS depict the integrated peak signal for each parametric level in each experiment (C = Context, D = Dimension, F = Feature, and R = Response). Bars for FPC depict the mean percent signal change over the entire block. As previously shown in the hippocampus and other brain areas, patterns of firing-rate correlations between neurons in the rat medial prefrontal cortex during a repetitive sequence task were preserved during subsequent sleep, suggesting that waking patterns are reactivated. We found that, during sleep, reactivation of spatiotemporal patterns was coherent across the network and compressed in time by a factor of 6 to 7. Thus, when behavioral constraints are removed, the brain's intrinsic processing speed may be much faster than it is in real time. Given recent evidence implicating the medial prefrontal cortex in retrieval of long-term memories, the observed replay may play a role in the process of memory consolidation. The Nov. 16 issue of Science has a special section on Robotics. I thought this graphic from the article by Pfeifer et al. - "Self-Organization, Embodiment, and Biologically Inspired Robotics" - was fascinating. It describes several biologically inspired robots. Figure: Self-organization, dynamics, and materials in bio-inspired robotics. (A) Smooth transition between swimming and walking. This amphibious salamanderlike robot (~80 cm long) embeds a spinal cord model that explains the ability of salamanders to switch between swimming and walking. The locomotion model is built by extending a primitive neural circuit for swimming by phylogenetically more recent limb oscillatory centers. (B) Rich sensory stimulation through proper sensor morphology. This robot (~7 cm in diameter) owes its sophisticated sensory capacities to the specific arrangement, shape, and material characteristics of its whiskers. Natural whiskers from rodents (such as the ones used on this robot) are far superior to whiskers built from other materials in terms of richness of the signals relayed to the neural system. (C) Self-stabilizing rapid hexapod locomotion. This robot (~15 cm long) moves with a bouncing gait, achieving rapid (over 4 body lengths per second) locomotion. Its legs are built with compliant pneumatic actuators, which yield self-stabilization through mechanical feedback. (D) Passive dynamics–based walking. Designed to work on a slope as a dynamic walker, this robot (~45 cm tall) exploits dynamics and morphology (in particular, the shape and length of the body and feet) to achieve stable walking. The robot's natural dynamics serves as the target dynamics for a reinforcement learning mechanism, enabling the robot to quickly learn to walk on flat ground. (E) Self-stabilizing vertical takeoff through materials and morphology. Inspired by flies, this ultralight (60 mg, 3-cm wingspan) ornithopter (a device that flies by flapping its wings) generates sufficient lift to take off vertically (power is supplied externally). A large part of the control is delegated to the morphological and material properties of the robot. Compliant structures are driven into resonance to produce a large wing stroke, and flexible material is used in the wing hinges to allow for passive rotations of the wings. (F) Agile wall-climbing through materials. The bio-inspiration for this palm-sized robot is provided by the gecko and its uncanny climbing talents. The robot's tri-foot (three-footed wheel) is equipped with a polymer dry adhesive material, which to some extent has contact properties comparable to those of its biological analog. The robot can flexibly navigate on smooth vertical and even inverted surfaces. (G) Morphing through localized self-reconfiguration. This self-reconfigurable robot is composed of active (actuated, black) and passive (nonactuated, white) cubic modules (~400 g, ~60 to 65 mm side length). The modules connect to each other through hooks, which enables the robot to change its morphology in a large number of ways. The picture shows the metamorphosis from a four-legged (quadruped) structure to a linear (snakelike) structure. (H) Global movement through local interaction dynamics. The individual wheel-like modules (~10 cm in diameter) constituting this robot are equipped with spokelike parts driven by linear actuators. The wheels lie horizontally on the ground and attach to neighboring modules by Velcro. Although no module can move on its own, by using neural oscillators as drivers for the actuators and through the physical coupling between the units, a coordinated global wave of activation can be induced in clusters of more than 30 modules, which leads to forward movement, even though there is no global control. 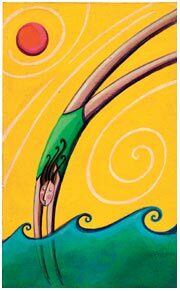 Want to reduce risky behavior? Just pass a tiny current across your forehead. 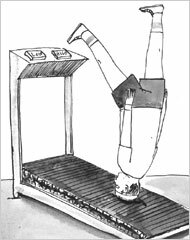 Studies have shown increased risk taking in healthy individuals after low-frequency repetitive transcranial magnetic stimulation, known to transiently suppress cortical excitability, over the right dorsolateral prefrontal cortex (DLPFC). It appears, therefore, plausible that differential modulation of DLPFC activity, increasing the right while decreasing the left, might lead to decreased risk taking, which could hold clinical relevance as excessively risky decision making is observed in clinical populations leading to deleterious consequences. The goal of the present study was to investigate whether risk-taking behaviors could be decreased using concurrent anodal transcranial direct current stimulation (tDCS) of the right DLPFC, which allows upregulation of brain activity, with cathodal tDCS of the left DLPCF, which downregulates activity. Thirty-six healthy volunteers performed the risk task while they received either anodal over the right with cathodal over the left DLPFC, anodal over the left with cathodal over the right DLPFC, or sham stimulation. We hypothesized that right anodal/left cathodal would decrease risk-taking behavior compared with left anodal/right cathodal or sham stimulation. As predicted, during right anodal/left cathodal stimulation over the DLPFC, participants chose more often the safe prospect compared with the other groups. Moreover, these participants appeared to be insensitive to the reward associated with the prospects. These findings support the notion that the interhemispheric balance of activity across the DLPFCs is critical in decision-making behaviors. Most importantly, the observed suppression of risky behaviors suggests that populations with boundless risk-taking behaviors leading to negative real-life consequences, such as individuals with addiction, might benefit from such neuromodulation-based approaches. Figure 1. Schematic representation of the experimental design. Each participant started to perform the risk task after receiving 5 min of stimulation. Stimulation continued throughout the task. The risk task was a decision-making task involving gambling. The task provided a measure of decision making under risk with little requirements on strategy and working memory. For October 2007, from the ASSC archives (from which 49638 papers were downloaded from 69 countries!). June 2007, Las Vegas, USA. 4. Gennaro, Rocco J. (2007) Visual Agnosia and Higher-Order Thought Theory. Predicting election outcomes in 100 milliseconds! Here we show that rapid judgments of competence based solely on the facial appearance of candidates predicted the outcomes of gubernatorial elections, the most important elections in the United States next to the presidential elections. In all experiments, participants were presented with the faces of the winner and the runner-up and asked to decide who is more competent. To ensure that competence judgments were based solely on facial appearance and not on prior person knowledge, judgments for races in which the participant recognized any of the faces were excluded from all analyses. Predictions were as accurate after a 100-ms exposure to the faces of the winner and the runner-up as exposure after 250 ms and unlimited time exposure. Asking participants to deliberate and make a good judgment dramatically increased the response times and reduced the predictive accuracy of judgments relative to both judgments made after 250 ms of exposure to the faces and judgments made within a response deadline of 2 s. Finally, competence judgments collected before the elections in 2006 predicted 68.6% of the gubernatorial races and 72.4% of the Senate races. These effects were independent of the incumbency status of the candidates. The findings suggest that rapid, unreflective judgments of competence from faces can affect voting decisions. Figure - An example of an experimental trial in the 250-ms presentation condition. Participants decided who was more competent. 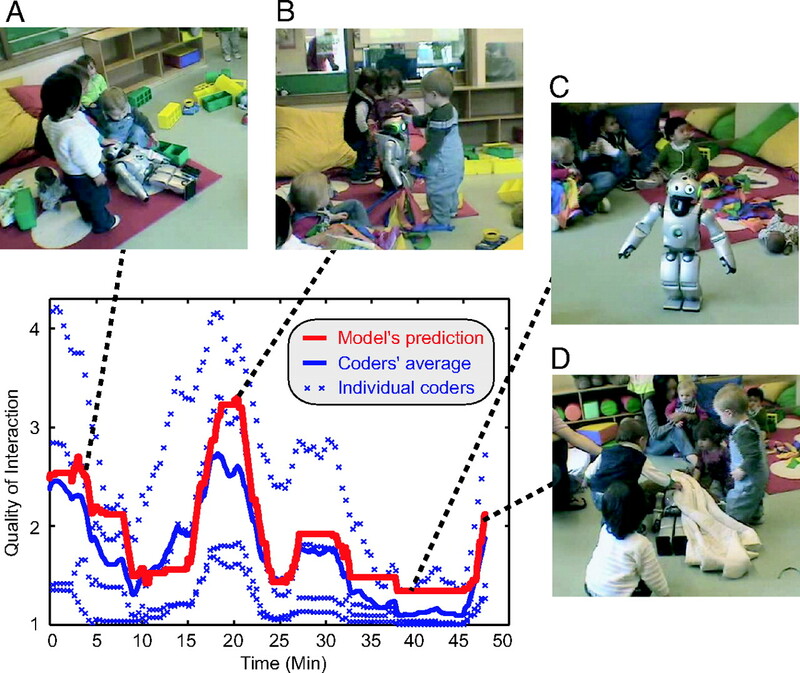 A state-of-the-art social robot was immersed in a classroom of toddlers for >5 months. The quality of the interaction between children and robots improved steadily for 27 sessions, quickly deteriorated for 15 sessions when the robot was reprogrammed to behave in a predictable manner, and improved in the last three sessions when the robot displayed again its full behavioral repertoire. Initially, the children treated the robot very differently than the way they treated each other. By the last sessions, 5 months later, they treated the robot as a peer rather than as a toy. Results indicate that current robot technology is surprisingly close to achieving autonomous bonding and socialization with human toddlers for sustained periods of time and that it could have great potential in educational settings assisting teachers and enriching the classroom environment. Figure - Predicting the quality of interaction. The red line indicates an automatic assessment of the quality of interaction between children and QRIO based on haptic (i.e. touching or physical contact) sensing. Blue lines indicate human assessment (by four independent coders) of the quality of interaction by using the continuous audience response method. (A) A session begins with QRIO waking up, attracting the children's interest. (B) During the music time in the classroom, children play with the robot. (C) Children are getting tired of the music time and losing interest in the robot. (D) Children put a blanket on the robot after it has laid down on the floor preparing for the end of a session. Neural ensembles were recorded from the CA3 region of rats running on T-based decision tasks. Examination of neural representations of space at fast time scales revealed a transient but repeatable phenomenon as rats made a decision: the location reconstructed from the neural ensemble swept forward, first down one path and then the other. Estimated representations were coherent and preferentially swept ahead of the animal rather than behind the animal, implying it represented future possibilities rather than recently traveled paths. Similar phenomena occurred at other important decisions (such as in recovery from an error). Local field potentials from these sites contained pronounced theta and gamma frequencies, but no sharp wave frequencies. Forward-shifted spatial representations were influenced by task demands and experience. These data suggest that the hippocampus does not represent space as a passive computation, but rather that hippocampal spatial processing is an active process likely regulated by cognitive mechanisms. This picture from a stroll yesterday in the Morikami Japanese Gardens in Boca Raton, Florida. An iguana is on the lawn to the right of the tree trunk, a heron to its right on the bank, the flat object on the grass to the right of the heron is a water turtle, and the orange spots in the water are Koi. (click on the picture to enlarge). Humans expect positive events in the future even when there is no evidence to support such expectations. For example, people expect to live longer and be healthier than average, they underestimate their likelihood of getting a divorce, and overestimate their prospects for success on the job market. We examined how the brain generates this pervasive optimism bias. Here we report that this tendency was related specifically to enhanced activation in the amygdala and in the rostral anterior cingulate cortex when imagining positive future events relative to negative ones, suggesting a key role for areas involved in monitoring emotional salience in mediating the optimism bias. These are the same regions that show irregularities in depression, which has been related to pessimism. Across individuals, activity in the rostral anterior cingulate cortex was correlated with trait optimism. 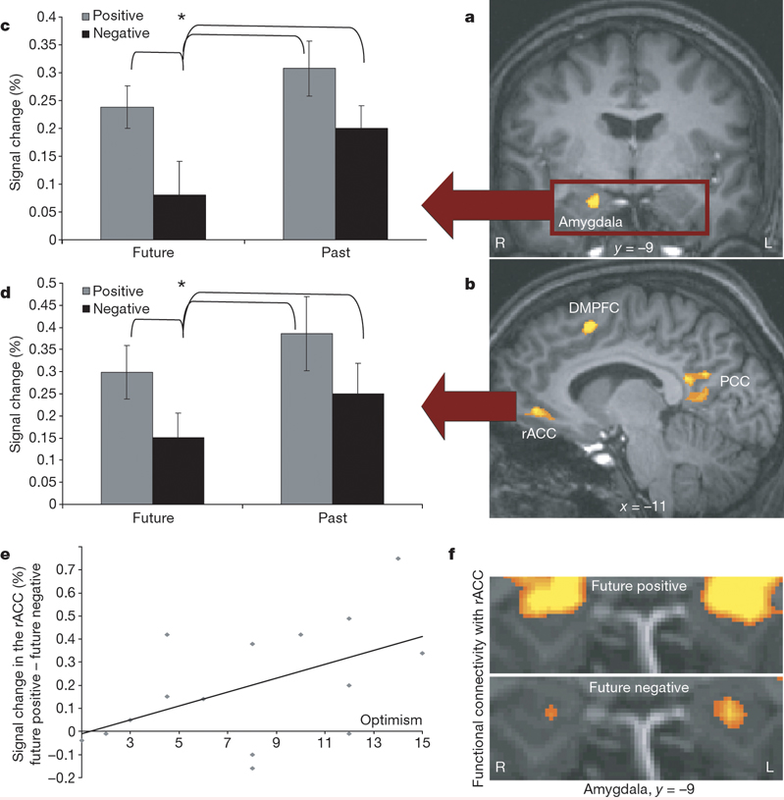 The current study highlights how the brain may generate the tendency to engage in the projection of positive future events, suggesting that the effective integration and regulation of emotional and autobiographical information supports the projection of positive future events in healthy individuals, and is related to optimism. Impairment of action chains in autism. When we observe the start of an action sequence that can end in two possible ways (in the figure shown a piece of food is placed in the mouth or in a container on the shoulder) appropriate sympathetic muscle EMG signals are detected at the start of the sequence. Thus, if the sequence will end in food to the mouth, activity is observed in the mouth-opening mylohyoid (MH) muscle at the onset. Rizzolatti and collaborators find that typically developing children show an activation of their MH muscle already when they observe the experimenter's initial motor act, food reaching. This activation reflects their understanding of the final goal of the observed action. In children with autism this action-understanding motor activation is lacking. Further, when typically developing children actually perform the observed action, MH muscle activation is observed at the very beginning of the sequence, while in children with autism, the activation is not observed until immediately before the muscle is actually used. 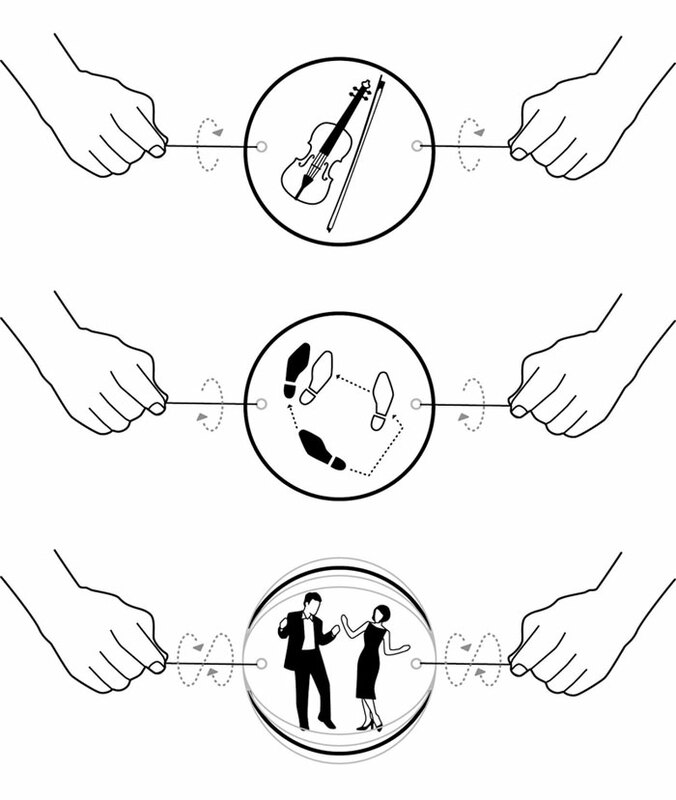 Figure - Schematic representation of the tasks. (Upper) The individual reaches for a piece of food located on a touch-sensitive plate, grasps it, brings it to the mouth, and finally eats it. (Lower) The individual reaches for a piece of a paper located on the same plate, grasps it, and puts into a container placed on the shoulder. They suggest that high-functioning autistic children may understand the intentions of others cognitively but lack the mechanism for understanding them experientially because they lack the chains of action-constrained neurons that code specific motor acts (e.g., grasping) according to the final goal of the action in which the motor act is embedded. Distinguishing true versus illusory memories with brain imaging. Figure: Activity within medial temporal lobes (A) was greater for high-confidence true recognition (HC-TR) than for high-confidence false recognition (HC-FR). Activity within a frontoparietal network (B) was greater for high-confidence false recognition than for high-confidence true recognition. Ploran et al. use fMRI to observe brain activity leading up to recognition of a perceptual object's identity. Here is their abstract, followed by a composite graphic extracted from figures in the paper. Decision making can be conceptualized as the culmination of an integrative process in which evidence supporting different response options accumulates gradually over time. We used functional magnetic resonance imaging to investigate brain activity leading up to and during decisions about perceptual object identity. Pictures were revealed gradually and subjects signaled the time of recognition (TR) with a button press. We examined the time course of TR-dependent activity to determine how brain regions tracked the timing of recognition. In several occipital regions, activity increased primarily as stimulus information increased, suggesting a role in lower-level sensory processing. In inferior temporal, frontal, and parietal regions, a gradual buildup in activity peaking in correspondence with TR suggested that these regions participated in the accumulation of evidence supporting object identity. In medial frontal cortex, anterior insula/frontal operculum, and thalamus, activity remained near baseline until TR, suggesting a relation to the moment of recognition or the decision itself. The findings dissociate neural processes that function in concert during perceptual recognition decisions. 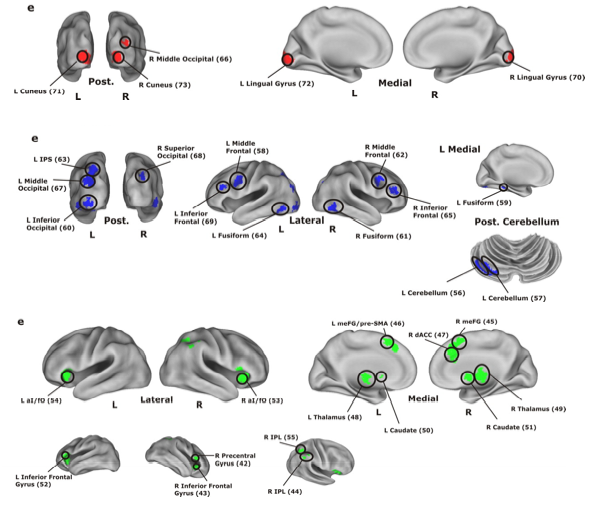 Composite extracted from figures in paper (click on graphic to enlarge and see labels): From interpolation analyzes, the top row shows brain regions of interest for initial sensory processing, the second row regions active in accumulation, and the bottom row regions active when recognition of the stimulus is signalled. Drug enhancement of athletic performance - with no drugs! The neurobiological investigation of the placebo effect has shown that placebos can activate the endogenous opioid systems in some conditions. So far, the impact of this finding has been within the context of the clinical setting. Here we present an experiment that simulates a sport competition, a situation in which opioids are considered to be illegal drugs. After repeated administrations of morphine in the precompetition training phase, its replacement with a placebo on the day of competition induced an opioid-mediated increase of pain endurance and physical performance, although no illegal drug was administered. The placebo analgesic responses were obtained after two morphine administrations that were separated as long as 1 week from each other. These long time intervals indicate that the pharmacological conditioning procedure has long-lasting effects and that opioid-mediated placebo responses may have practical implications and applications. For example, in the context of the present sport simulation, athletes can be preconditioned with morphine and then a placebo can be given just before competition, thus avoiding administration of the illegal drug on the competition day. However, these morphine-like effects of placebos raise the important question whether opioid-mediated placebo responses are ethically acceptable in sport competitions or whether they have to be considered a doping procedure in all respects. Groups of social animals whose individual members follow simple sets of rules do surprising things. This NY Times article by Carl Zimmer in the Nov. 13 science section quotes Ian Couzin, a mathematical biologist at Princeton: “No matter how much you look at an individual army ant...you will never get a sense that when you put 1.5 million of them together, they form these bridges and columns. You just cannot know that.” The article notes the simple models that predict swarming behavior by setting the population density that which individuals switch from going their own way to following others. It also describes experiments using human subjects to test Couzin's models. Many take our brains to be a more massive and complex version of the "hive minds" displayed by groups of bees, ants, birds and fish. Brain modelers assign relatively simple properties to their model neurons and then watch amazing patterns emerge when their whole society of neurons is fired up to interact. Aamodt and Wang contribute an Op-Ed piece with the title of this post in the Nov. 8 New York Times. Their main message is that all of the 'brain exercise' programs that are marketed to counter the cognitive decline associated with aging are more expensive, complicated, and vastly less effective than vigorous daily exercise (not to suggest that these are competing alternatives, it is certainly best to do both). They note that while activities like solving puzzles or remembering lists can induce lasting changes in these specialized areas, physical exercise improves “executive function,” the set of abilities that allows you to select behavior that’s appropriate to the situation, inhibit inappropriate behavior and focus on the job at hand in spite of distractions. Executive function includes basic functions like processing speed, response speed and working memory, the type used to remember a house number while walking from the car to a party. They also note studies showing the numerous theraputic effects of exercise, such as delaying both the onset of dementia and the shrinking of the frontal cortex that occurs with age. Human beings routinely help strangers at costs to themselves. Sometimes the help offered is generous—offering more than the other expects. The proximate mechanisms supporting generosity are not well-understood, but several lines of research suggest a role for empathy. In this study, participants were infused with 40 IU oxytocin (OT) or placebo and engaged in a blinded, one-shot decision on how to split a sum of money with a stranger that could be rejected. Those on OT were 80% more generous than those given a placebo. OT had no effect on a unilateral monetary transfer task dissociating generosity from altruism. OT and altruism together predicted almost half the interpersonal variation in generosity. Notably, OT had twofold larger impact on generosity compared to altruism. This indicates that generosity is associated with both altruism as well as an emotional identification with another person. To concentrate on a difficult task that involves listening, people tend to unconsciously divert their attention from what they are seeing. But music conductors, a new study reports, are not as apt to be distracted in this way....The researchers, who presented their findings at a recent conference of the Society for Neuroscience, used magnetic resonance imaging to compare how 20 conductors and 20 nonmusicians handled complex auditory tasks...The researchers were from Wake Forest University Baptist Medical Center and the University of North Carolina at Greensboro. They were especially interested in learning whether their subjects would continue shifting resources as the demands of listening became more complex, said the lead author, Dr. W. David Hairston of Wake Forest...The volunteers were placed in an M.R.I. scanner and asked to listen to different notes over headphones while keeping their eyes open. As the notes were played closer and closer together, they were asked to say which they heard first...In both groups, activity in the parts of the brain involved with seeing decreased, but as the task became more difficult, only the nonmusicians turned off more of their visual processing...Part of the explanation may lie in the need for conductors to make extensive use of both their eyes and ears, to read the score and “to keep track of who’s playing what,” Dr. Hairston said. Marco Iacoboni, whose work I have mentioned before, has together with several collaborators performed brain imaging experiments on 20 swing voters who indicate willingness to vote for a candidate from either party in the Nov. 2008 presidential elections. They summarize their findings in an Op-Ed piece in the Nov. 11 New York Times. There is a slide show you might like to watch. While insiders in the imaging business go apoplectic over simplistic interpretations of averaged data taken from a small number of subjects using ambiguous protocols with dubious controls, some correlations do emerge that "make sense." (See these comments on the article as 'junk science'.) 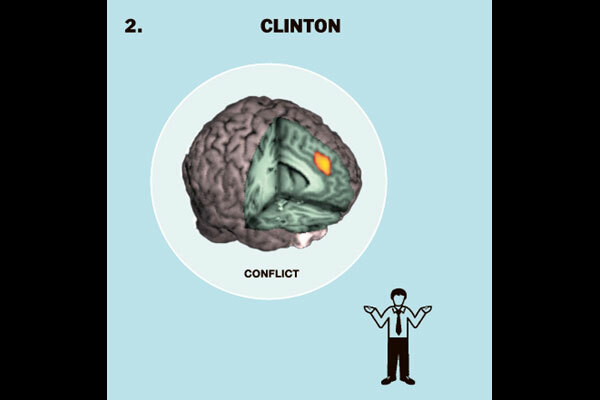 For example: anterior cingulate (conflict resolution) associates with Hillary Clinton; or amygdala (anxiety) and insula (disgust) correlates with viewing the words "Democrat" or "Republican" but not "independent". One bit I found interesting: "Barack Obama and John McCain have work to do. The scans taken while subjects viewed the first set of photos and the videos of Mr. McCain and Mr. Obama indicated a notable lack of any powerful reactions, positive or negative." Photos of Hillary Clinton elicited increased activity in the anterior cingulate cortex, a part of the brain that processes conflicting impulses, in swing voters who reported having an unfavorable opinion of her. 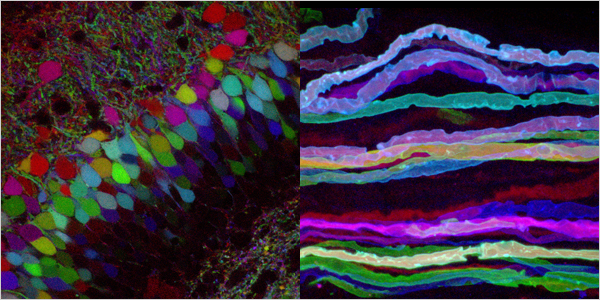 The brain in glorious color - "Brainbows"
Scientists can use this technique in animals, whose brain systems work in ways similar to those of humans, to see exactly where each cell begins and ends, both within the brain and out through the spine and the limbs — and what happens in between. When we humans make a choice, we protect our self esteem by rationalizing that it was the correct one, even in the face of evidence to the contrary. It turns out Capuchin monkeys do the same thing. In a kind of "why didn't someone think of trying this before?" 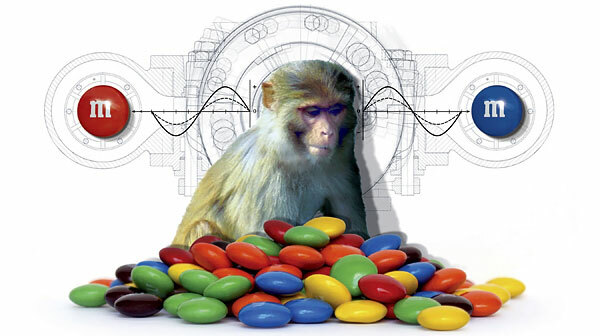 experiment, a group of Yale psychologists offered the monkeys several different colors of M&M candies. Once a monkey was observed to show an equal preference for three colors of M&M’s — say, red, blue and green — he was given a choice between two of them. If he chose red over blue, his preference changed and he downgraded blue. When he was subsequently given a choice between blue and green, it was no longer an even contest — he was now much more likely to reject the blue. Thus the monkeys are dealing with cognitive dissonance ('should I choose the blue or the green?') by downgrading or eliminating one of the options. They performed a similar experiment with little children, obtaining similar results. The fact that children and primates show the same behavior as adults suggests that this rationalization behavior is largely unconscious, and may have appeared in evolution earlier than previously thought. 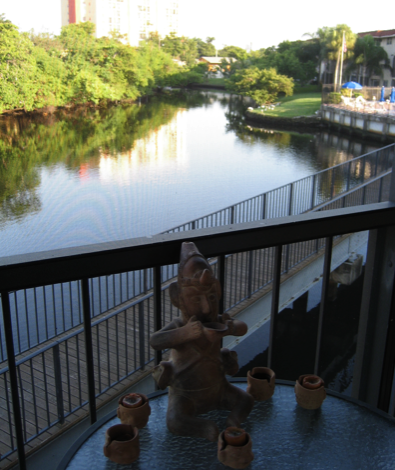 Internet is now up and running at the Fort Lauderdale condo, in spite of Comcast. ...mice are exposed to 10 bouts of social defeat in which c57bl/6 test mice are forced to intrude into space occupied by mice of a larger and more aggressive strain, leading to subordination of the test mice. Following this repeated stress, a subset of mice develop significant avoidance of social contact with mice of the same strain and exhibit other signs that are reminiscent of symptoms of human depression, including weight loss and loss of hedonic (pleasure) responses to sucrose. A strength of the social defeat stress model is that, at least in this mouse strain, the stressor convincingly separates the mice into two groups, a group that the authors designate “Susceptible,” which develop social avoidance, and a group described as “Unsusceptible,” which continue to interact with other mice at the same rate as never stressed controls. The model has other strengths. Repeated social defeat would appear to be a good model for some adverse human experience. Moreover, the traits that emerge in susceptible mice reverse only with chronic antidepressant treatment, which mirrors the requirements for treatment of depression and anxiety disorders with these drugs in humans. 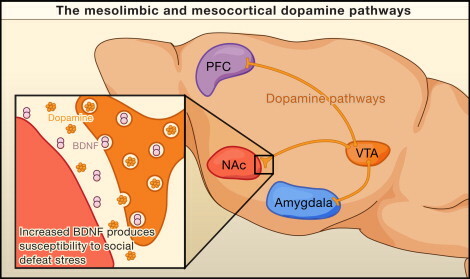 The mesolimbic dopamine pathway comprises a projection from the ventral tegmental area (VTA) of the midbrain to the nucleus accumbens (NAc) and to other forebrain structure, such as the amygdala and prefrontal cortex (PFC). These dopamine projections, which act as the neural substrates of the rewarding properties of food, mating behaviors, and addictive drugs, are now shown by Krishnan et al. (2007) to mediate the response of mice to social defeat. In mice susceptible to social defeat, expression of brain-derived neurotrophic factor (BDNF) increases in the VTA. The NAc is the recipient of increased BDNF release and shows enhanced downstream signaling via the BDNF receptor. The utilization of symbols such as words and numbers as mental tools endows humans with unrivalled cognitive flexibility. In the number domain, a fundamental first step for the acquisition of numerical symbols is the semantic association of signs with cardinalities. We explored the primitives of such a semantic mapping process by recording single-cell activity in the monkey prefrontal and parietal cortices, brain structures critically involved in numerical cognition. Monkeys were trained to associate visual shapes with varying numbers of items in a matching task. After this long-term learning process, we found that the responses of many prefrontal neurons to the visual shapes reflected the associated numerical value in a behaviorally relevant way. In contrast, such association neurons were rarely found in the parietal lobe. These findings suggest a cardinal role of the prefrontal cortex in establishing semantic associations between signs and abstract categories, a cognitive precursor that may ultimately give rise to symbolic thinking in linguistic humans. Altruism—benefiting fellow group members at a cost to oneself—and parochialism—hostility toward individuals not of one's own ethnic, racial, or other group—are common human behaviors. The intersection of the two—which we term "parochial altruism"—is puzzling from an evolutionary perspective because altruistic or parochial behavior reduces one's payoffs by comparison to what one would gain by eschewing these behaviors. But parochial altruism could have evolved if parochialism promoted intergroup hostilities and the combination of altruism and parochialism contributed to success in these conflicts. Our game-theoretic analysis and agent-based simulations show that under conditions likely to have been experienced by late Pleistocene and early Holocene humans, neither parochialism nor altruism would have been viable singly, but by promoting group conflict, they could have evolved jointly. In Choi and Bowles' simulation, 20 small groups of agents interact over thousands of generations. Agents have two genes, each with two alleles. They are either tolerant (T) or parochial (P) and either altruistic (A) or not (N). Offspring inherit their parents'traits, with occasional random mutations. Altruists help fellow group members at a personal cost; non-altruists do not. Tolerant agents have lucrative exchanges with outsiders; parochial agents do not. A high proportion of parochials in groups restricts trading opportunities for all....The societies that evolve are stable in two conditions: when either selfish traders (TN) or generous warriors (PA) are the dominant type. A few PN bullies and even fewer TA philanthropists can coexist within trader or warrior regimes. The trading regime is peaceful. Standoffs and wars are more common in the warrior regime, but even infrequent war--10 to 20% of encounters--can maintain high levels of parochial altruism. Similar findings for the impact of intermittent war on the evolution of heroism (6) suggest that war need not be "constant" to act as a powerful selective force...The convergence of altruism and parochialism in Choi and Bowles' simulation is consistent with links between the two found in behavioral studies. Selfish choices in social dilemma experiments, for example, diminish markedly when the game is embedded in an intergroup context. Harvard Magazine has an outstanding article with nice graphics on the astounding diversity of microbial life. In terms of gene content, humans and potatoes are more closely related than these two bacteria are to each other—one measure of bacterial diversity. 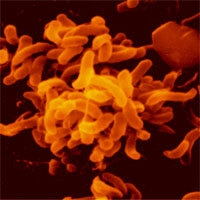 On the left, Vibrio cholerae; on the right, Mycobacterium tuberculosis. 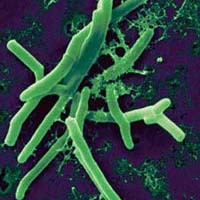 The anthropocentric five-kingdom system classified all unicellular organisms lacking nuclei (archaea and bacteria) as Monera. The nucleated eukaryotes comprising plants, animals, and fungi were thought to represent the bulk of biological diversity. All other nucleated eukaryotes were grouped in a grab-bag classification known as Protista. The modern “tree of life,” based on genetic analysis, shows that the bulk of Earth’s biodiversity resides among the Archaea, Bacteria, and that portion of the Eukarya that does not include plants, animals, and fungi. Who hasn't agonized over a major decision in life, whether to accept a job offer, move house, or perhaps switch research fields? We are confronted with a multitude of decisions on a daily basis. Many decisions are trivial and can be dealt with in seconds. However, others may have wider ramifications and can be excruciatingly complicated. In the past few years, our understanding of the underlying processes of decision-making has progressed markedly. This neuroscience special issue highlights some of the most exciting developments in this area. Koechlin and Hyafil review recent experimental studies that provide new insights into the function and connectivity of the anterior prefrontal cortex, which forms the apex of the executive system underlying decision-making. The authors propose an original model of the anterior prefrontal function and provide a theoretical framework for addressing major unresolved issues and guiding future research on decision-making and higher cognition. Human beings are highly social animals. Many of our decisions make sense only within a social environment. Sanfey outlines the advantages that can be gained by combining tasks and formal mathematical models from game theory with modern neuroimaging methods to characterize the processes that underlie social decision-making. He also summarizes recent research that offers good examples of how this neuroeconomic approach has already begun to illuminate our knowledge of this process. Sometimes things can also go wrong in this complicated and well-balanced interplay between several brain regions. Paulus proposes that decision-making in psychiatric populations cannot be viewed simply as an alteration of the preference structure or the way individuals experience the outcome of the decision. Instead, it must be understood from the homeostatic balance perspective of the individual. Increased risk-taking behavior in drug addicts, for example, although maladaptive in the generic sense, may actually be adaptive for the substance user in a complex, highly unpredictable environment while attempting to respond to internal urges and cravings. Decision theory has boomed in the past decade. Körding gives an overview of how decision theory, including normative/Bayesian approaches, can lead us to better understand the functions of the nervous system. This is a hoot, if you are in for a moment of comic relief. Here is a stimulating stumble. 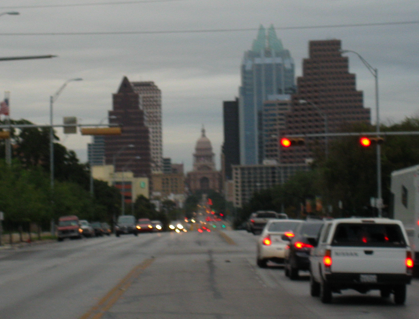 I drove from Madison, WI to Austin, Texas this past weekend, to visit my son and his wife. They now live in the family house I where I grew up. Tomorrow I hit the road again to drive to Ft. Lauderdale, MindBlog's winter home. The timing turns out to have been perfect, it is 24 degrees fahrenheit with light snow flurries in Madison right now . Blog postings might be a bit flakey this week. Drug craving? - Just zap your insula! Addiction profoundly alters motivational circuits so that drugs become powerful reinforcers of behavior. The interoceptive system continuously updates homeostatic and emotional information that are important elements in motivational decisions. We tested the idea that interoceptive information is essential in drug craving and in the behavioral signs of malaise. We inactivated the primary interoceptive cortex in amphetamine-experienced rats, which prevented the urge to seek amphetamine in a place preference task. Interoceptive insula inactivation also blunted the signs of malaise induced by acute lithium administration. Drug-seeking and malaise both induced Fos expression, a marker of neuronal activation, in the insula. We conclude that the insular cortex is a key structure in the perception of bodily needs that provides direction to motivated behaviors. The therapeutic intervention was an injection of 2% lidocaine (a sodium channel blocker to inhibit nerve activity) into the left and right insula to cause a transient shutdown of insular nerve activity (injecting adjacent cortex was not effective). Although this is a sledgehammer approach with possible dire side effects, it suggests that therapeutic interventions in the insula may help to alleviate drug cravings, . Daniel Levitin has offered this brief essay in the New York Times Op-Ed section. Short, dark winter days put most of us in a gloomy mood, but in people with seasonal affective disorder (SAD), they can cause severe clinical depression. Fortunately, this depression can be treated with bright-light therapy (BLT), and it disappears altogether in summer. Willeit et al. now show that these changes in mood are associated with alterations in the efficiency of the serotonin (5-hydroxytryptamine) transporter (5-HTT) in the patients' blood platelets. One theory of depression posits that impaired functioning of monoamine neurotransmitters, such as serotonin, causes the disorder, but it is unknown how this impairment might arise. Serotonin levels in the synapse are controlled by the 5-HTT, and Willeit and colleagues therefore investigated whether alterations in 5-HTT functioning might underlie depression in SAD. The authors compared people with SAD with healthy volunteers, and assessed 5-HTT functioning in winter, after 4 weeks of BLT and in summer. They did this by measuring 5-HTT-mediated inward and outward transport in blood platelets (which are easily obtainable). In winter, both inward transport rate and outward transport were enhanced in the platelets of SAD patients compared with healthy controls. Importantly, these differences in platelet 5-HTT functioning disappeared after 4 weeks of BLT and were absent in summer. The number of 5-HTTs and their affinity for serotonin did not change with BLT or with the seasons, indicating that the increased 5-HTT inward transport that was found in SAD patients was due to increased efficiency of the transporter. The authors also assessed the patients' depression levels at the three time points, using a structured interview. They found that post-treatment, both inward transport rate and outward transport correlated with depression scores in SAD patients. Moreover, patients whose depression did not decrease after treatment did not show a change in 5-HTT-mediated outward transport after treatment. ...stresses no effort to control thoughts, but instead a state of restful alertness that allows a high degree of awareness of body, breathing, and external instructions from a compact disc. It stresses a balanced state of relaxation while focusing attention. Thought control is achieved gradually through posture and relaxation, body–mind harmony, and balance with the help of the coach rather than by making the trainee attempt an internal struggle to control thoughts in accordance with instruction. Recent studies suggest that months to years of intensive and systematic meditation training can improve attention. However, the lengthy training required has made it difficult to use random assignment of participants to conditions to confirm these findings. This article shows that a group randomly assigned to 5 days of meditation practice with the integrative body–mind training method shows significantly better attention and control of stress than a similarly chosen control group given relaxation training. The training method comes from traditional Chinese medicine and incorporates aspects of other meditation and mindfulness training. Compared with the control group, the experimental group of 40 undergraduate Chinese students given 5 days of 20-min integrative training showed greater improvement in conflict scores on the Attention Network Test, lower anxiety, depression, anger, and fatigue, and higher vigor on the Profile of Mood States scale, a significant decrease in stress-related cortisol, and an increase in immunoreactivity. These results provide a convenient method for studying the influence of meditation training by using experimental and control methods similar to those used to test drugs or other interventions. In humans, the wakeful resting condition is characterized by a default mode of brain function involving high levels of activity within a functionally connected network of brain regions. This network has recently been implicated in mental self-projection into the past, the future, or another individual's perspective. Here we use [18F]-fluorodeoxyglucose positron emission tomography imaging to assess resting-state brain activity in our closest living relative, the chimpanzee, as a potential window onto their mental world and compare these results with those of a human sample. We find that, like humans, chimpanzees show high levels of activity within default mode areas, including medial prefrontal and medial parietal cortex. Chimpanzees differ from our human sample in showing higher levels of activity in ventromedial prefrontal cortex and lower levels of activity in left-sided cortical areas involved in language and conceptual processing in humans. Our results raise the possibility that the resting state of chimpanzees involves emotionally laden episodic memory retrieval and some level of mental self-projection, albeit in the absence of language and conceptual processing. 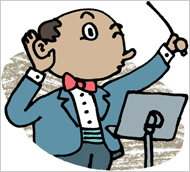 Steven Pinker has called music useless, with no adaptive value. Oliver Sacks and Daniel Levitin beg to differ. I'm currently reading and enjoying Oliver Sacks' new book: Musicophilia: Tales of Music and the Brain. I'm linking you to a review of this book by Laura Garwin in the current issue of Nature that notes that our brains seem to be finely tuned to music, and asks of what use are our musical powers and passions? 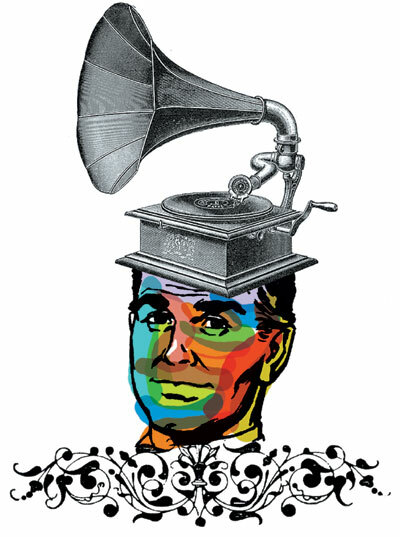 She also reviews Levitin's "This is Your Brain on Music: Understanding a Human Obsession." I also thoroughly enjoyed reading this book this past spring, it has a very accessible introduction of the fundamentals of music structure and brain mechanisms associated with music processing. Cannabis has been known for at least 4,000 years to have profound effects on the mind — effects that have provoked dramatically divergent attitudes towards it. Some societies have regarded cannabis as a sacred boon for mankind that offers respite from the tribulations of everyday life, whereas others have demonized it as inevitably leading to 'reefer madness'. The debate between the protagonists and prohibitionists has recently been re-ignited, but unfortunately this debate continues mainly in ignorance of our new understanding of the effects of cannabis on the brain and of studies that have quantified the extent of the risks of long-term use.